Scott: One of the great things about doing this show is that you love having people on a regular basis who provide a ton of great content. People that have a great big heart for helping their clients and those out there. We are always honored to have Quest IRA. 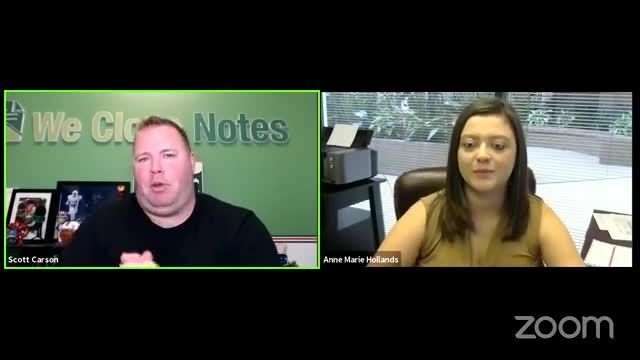 We’ve got the smart, intelligent, beautiful Anne Marie Hollonds from Quest IRA joining us to talk about a little bit about their upcoming schedule and also the power of HSA. Welcome, Anne Marie. Anne: Thank you for that nice introduction. Scott: Glad to have you on here. It’s been few weeks since I’ve been out gallivanting across the globe, but excited to have you back on here. Let’s start it off with going through Quest IRA is because we do have some new readers. Let’s talk about who Quest IRA is and we’ll go from there. Anne: Quest IRA is a self-directed IRA provider. What that means is that we provide you a retirement account, just like a mainstream company would, like a Charles Schwab or an Edward Jones. We provide you the exact same type of accounts with all the great tax benefits except that it’s completely self-directed. You’re the one choosing the investment and it’s into all types of private assets. With the Charles Schwab, the more mainstream companies, your options are all in the publicly traded space. That’s the thing that you hear most Americans doing, it’s the stock market, mutual funds, annuities, CDs, bonds. Whereas at Quest, same types of accounts with all those tax benefits that everybody knows about except that it’s all private. It can be real estate, and that’s anything from wholesaling a property, buying commercial properties, residential, notes. Things like private companies as well. Some of those are doing real estate types of deals and then you can do off the wall thing. One of the ones that we like to talk about because it’s unusual is we have a client that invests in a company that produces toy pop bottles. Self-directed IRAs are taking your knowledge, what you know about your expertise, and finding your own field to benefit your retirement.